many seeing relief within 24 hours. 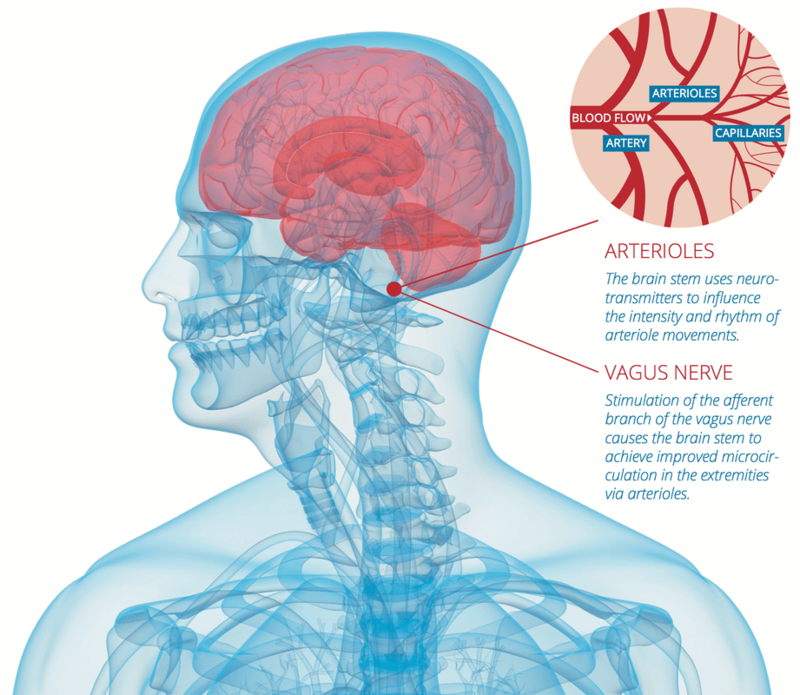 Modulations in the brain stem caused by sporadic continuous stimulation of the vagus nerve in the triangular fossa result in improved perfusion of the extremities – without drugs or surgery. The aim of treatment is to slow the progress of the disease, prevent amputations and facilitate greater freedom of movement and thus a better quality of life. The device transmits low frequency electrical impulses to vagal nerve bundles, which trigger the release of endorphins This not only relieves pain, but also reduces sympathetic nervous system activity resulting in decreased inflammation and increased arterial perfusion/oxygenation. This small device consists of an externally placed modulator and a tiny wire electrode that attaches to the vagal nerve on the ear. Once installed, the neurostimulater relieves pain. Waking up well rested and pain free, ready to start your day. Being able to enjoy your favorite hobbies and activities with no pain. Enjoying time with your family and loved ones without being limited by pain. Don’t wait! Let us help take you out of pain so you may start enjoying life again! Sign up for one of our FREE consultations. Fill our the form below for more information!